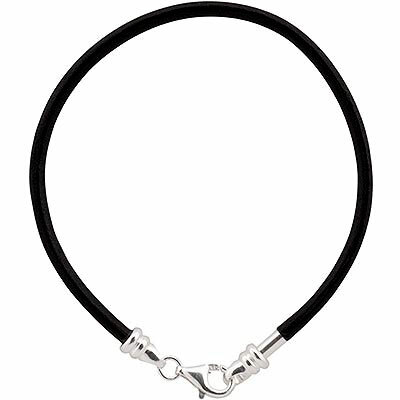 Try our PERLAVITA black rubber bracelet in a 7 inch length. This bracelet is also designed to work with our large hole PERLAVITA glass and sterling beads as well as 8mm and 10mm sterling Smart beads. 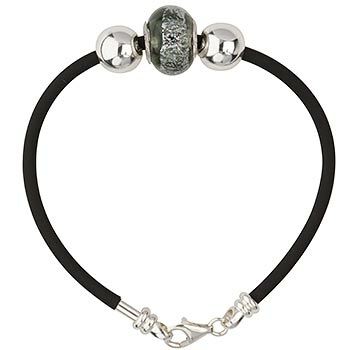 To use this bracelet, simply unscrew the sterling silver end cap, slide your beads over, and re-attach the end to securely hold your beads on the bracelet.